United Way of Buffalo & Erie County was awarded an American Apprenticeship Initiative (AAI) grant from the US Department of Labor, Employment and Training Administration, in October, 2015. This five year, $2.9 million grant is designed to help advanced manufacturers create and enhance their registered apprenticeship programs. 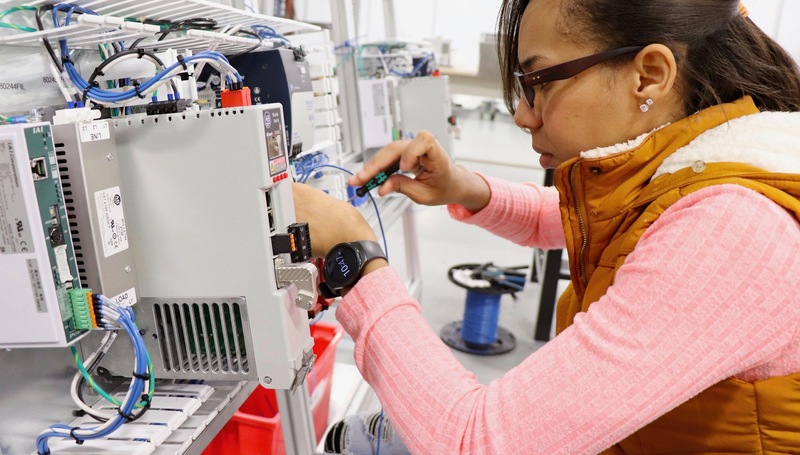 Apprenticeship is a proven, “earn and learn” training model that can help fill the skills gap that most advanced manufacturers face in their skilled trades workforce. The AAI of WNY works with 44 advanced manufacturing companies in 6 counties of Western New York (Erie, Niagara, Chautauqua, Monroe, Ontario, Wayne). In addition, the AAI of WNY team works with unions, educators, workforce development agencies, the NYS DOL, and many other community partners to help fill the skills gap, create a pipeline to apprentice-track jobs, raise awareness about apprenticeship, and increase access for underrepresented populations into the skilled trades. does not necessarily reflect the views or policies of the US Department of Labor. United Way of Buffalo & Erie County is an Equal Opportunity Employer. Auxiliary aids and services are available upon request to individuals with disabilities.